It’s definitely not a secret that I’m a Jimmy Wayne fan. 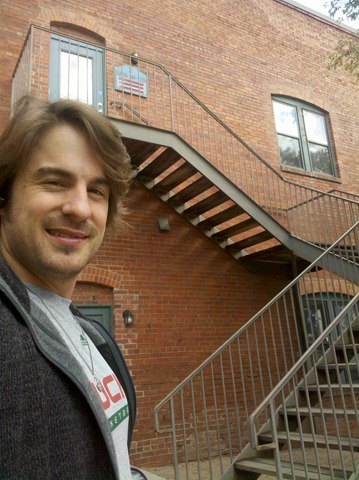 I always have been – but I became an even bigger Jimmy Wayne fan after seeing him do a show at our local fair back in August of 2009. (Article and photos from that show here.) And, if I weren’t as big a fan as I could be at that point, I think he gained even more points with me when he began his walk from Nashville to Phoenix, to raise money and awareness for teens aging out of the foster care system. But that walk took a very long time. 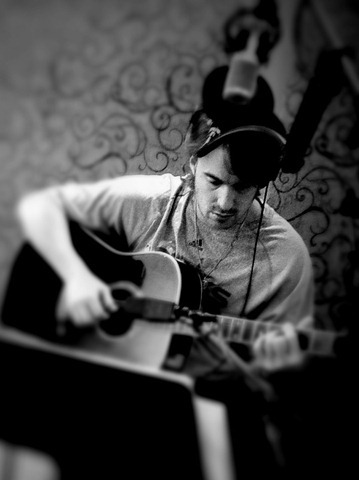 And I for one am ready for some new music from Jimmy Wayne. Loved the one he had out with Whitney Duncan a while back, “Just Knowing You Love Me.” (Audio on YouTube) And I’m really surprised that one didn’t make it to the top of the charts in a big hurry. It’s a great song. 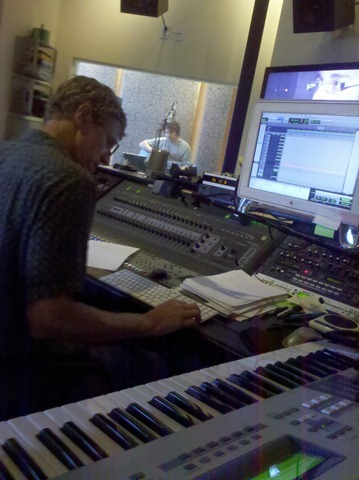 Lately Jimmy has taken to his twitter to tell us about his return to the studio in Nashville, and his work on a new album — that I am definitely looking forward to! He mentioned in one of his tweets that he wrote part of the chorus to one of these songs while he was on his Meet Me Halfway walk. Jimmy is one of those people who sends his own tweets, and kept his fans involved with his MMH trek by doing audio/video chats on UStream. I’m sure he didn’t mean for them to be, but some of those chats were very emotional – for those of us listening, and for Jimmy, I’m sure. I think he would make a great motivational speaker – he really knows how to tell a story, he pours his heart out to anyone who will listen. And, he’s very likeable. Put all that together with the fact that he can sing, write, and definitely knows how to entertain – and it really isn’t a surprise that he has a ton of fans, and a lot of support. I guess I’ll never really know what makes a Kenny Chesney, or a Brad Paisley. Or what it is that gives someone the super star status of a Tim McGraw. 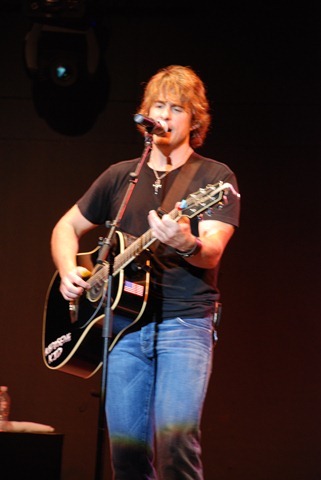 But I do know that Jimmy Wayne is one of best country artists I’ve seen lately. There’s so much more to him than what you hear on the radio. And I hope all of you have the chance to check him out in concert sometime soon. If you’re going to be in Nashville Sept. 24 and 25, you can catch Jimmy at the Ryman Auditorium. And on Oct. 8, he’ll be at the Grand Ole Opry. That’s it for this morning. I really have to get ready to head to the office. I hope you all have a great Friday. Hey! It is Friday! I’m ready for another weekend! Drop me an e-mail when you have a chance. Love hearing form all of you! Slow and steady win the ultimate race. He shares a record label with my girl Reba 😉 I’m also a big Jimmy Wayne fan. Let me tell you a little story, back in either 98 or 99 I got tickets to see the George Strait festival, KC was first man out — I’m just sayin! Its far better to surround himself with good people and rise to the top slowly on the journey he is taking now. Keep the faith. His voice and the messages he has to deliver speak for themselves. I totally understand wanting our favorites to do well. I think this is going to be his best record yet. Great write up, I enjoyed it! Still time to enter to win new CDs by Zac Brown Band & Randy Houser!